The Robotics Innovation Centre is a purpose-built research facility for robotics and autonomous systems in Queensland, Australia. The Commonwealth Scientific and Industrial Research Organisation’s (CSIRO) Data61 recently announced the opening of its new Robotics Innovation Centre in Queensland, Australia. According to a recent press release, the Robotics Innovation Centre is a purpose-built research facility for robotics and autonomous systems, an industry set to be worth A$ 23 billion by 2025. 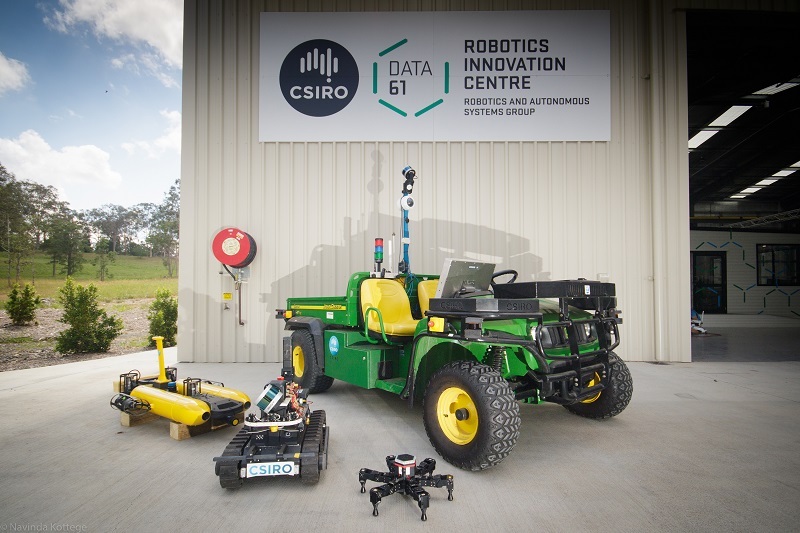 The Robotics and Autonomous Systems group leader at CSIRO’s Data61 shared that the 600-square-metre facility would enhance the group’s world-class research capabilities. The new centre expands the Agency’s research infrastructure allowing them to develop highly autonomous robotics systems that can interact safely and seamlessly with humans and other dynamic agents, in challenging indoor and outdoor environments. Some of the Agency’s robots are already being used to safely inspect and create 3D maps of underground mines, monitor biodiversity in the Amazon Rainforest and navigate difficult terrain in emergency situations. The Centre is spearheading a project that tests the technology to rapidly map, navigate, and search underground environments as part of a three-year Subterranean Challenge funded by the US Defence Advanced Research Projects Agency (DARPA). Moreover, it houses the biggest motion capture system in the Southern Hemisphere, which is used to validate data collected by robotics systems. It also features a 13×5 metre pool for testing aquatic robots, a significant number of field-deployable UAVs and UGVs, legged robots, high-accuracy robot manipulators as well as sensors and telemetry systems. The centre is a national asset that combines internationally recognised robotics and machine learning research with deep domain expertise from CSIRO providing unique collaboration opportunities for industry, government and academia. Robotics and autonomous systems technologies, underpinned by machine learning and artificial intelligence, will unlock new value in all manner of sectors including manufacturing, agriculture, healthcare and mining. By creating a cohesive approach to robotics research and development (R&D), through closer collaboration and backed by world-class facilities like the Robotics Innovation Centre, Australia is guaranteed to be well placed to benefit from Industry 4.0 and help to protect and accelerate the nation’s ongoing economic success. Data61 is the digital innovation arm of CSIRO, Australia’s national science agency. It is one of the global leaders in the robotics and autonomous systems field. It has capabilities ranging from legged robots and 3D mapping through to unmanned aerial vehicles (UAVs) and unmanned ground vehicles (UGVs). In addition, it has led the formation of the Sixth Wave Alliance last year. It is a network that seeks to integrate key robotics research organisations and industry partners in Australia to enable a higher level of R&D collaboration. The Agency’s robotics infrastructure is open for industry use and collaborative projects. This includes dedicated mechanical and electronics engineering laboratories, several high-end rapid prototyping machines, large sheds for indoors systems testing, an open-air UAV flying area and outdoor testing areas including a forest and creek.